Betsy and I visited King’s Bluff Falls in February, 2013, on our visit to Arkansas. 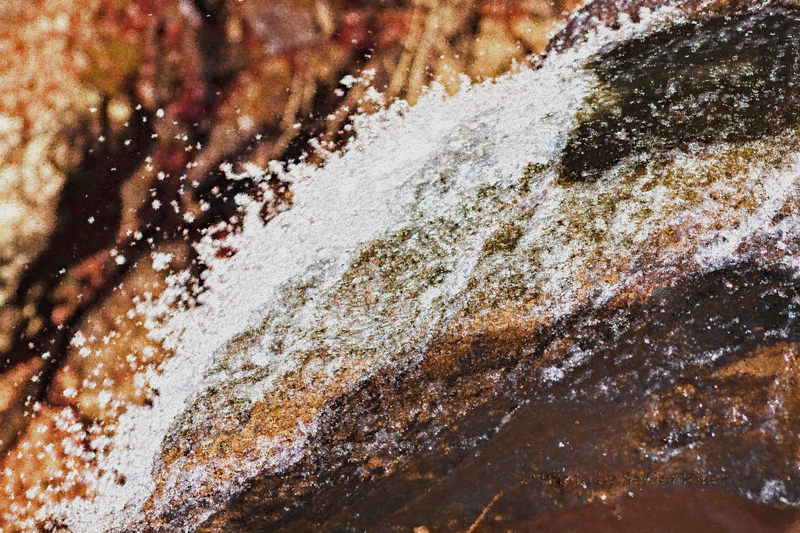 The hike to the falls was pleasant, and, thanks to a zoom lens, I was able to get a close-up view of water going over the brink of the falls. I tweaked the image in Photoshop to make it look more like a modern art painting. Since we never seem to get enough snow (according to Betsy) here in the Glade, I’m constantly on the lookout for pictures of snow to try to cheer her up. There’s not a lot of snow in this image which I got way back in 1987 (it’s hard to believe that was 30 years ago!). I was shooting slide film way back then, so this image is scanned from a slide made at the time. 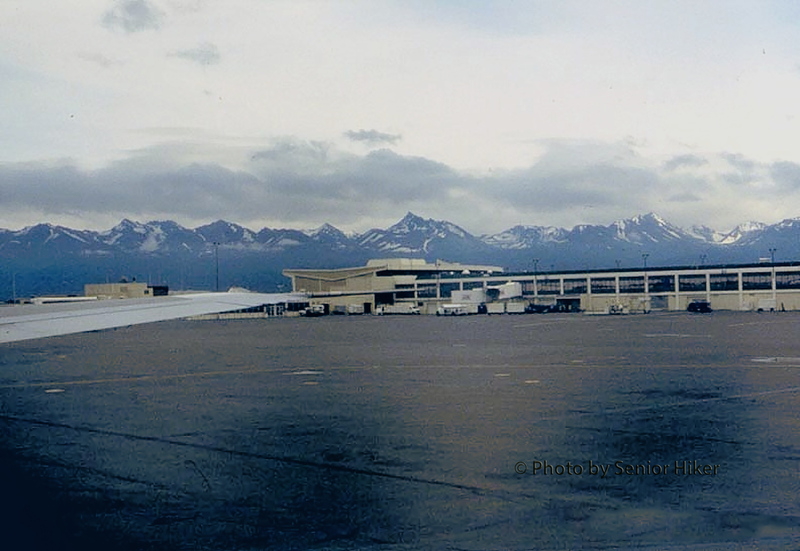 The picture was shot at Juneau International Airport, where we made a refueling stop on a flight to Hong Kong. It was taken in June, and I was on my first trip to China.